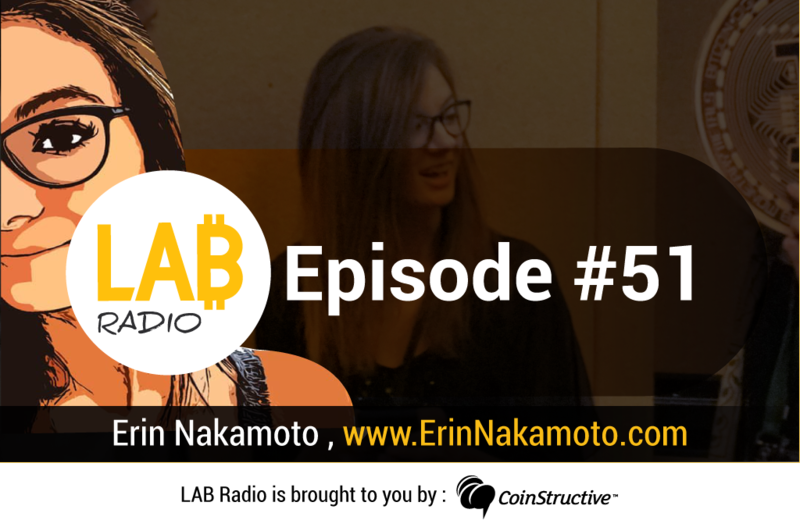 This episode of LAB Radio was a part of our coverage of CryptoBlockcon where Chris Groshong interviewed Erin Nakamoto, organizer of the Las Vegas Bitcoin Meetup. “My story is a relatively short one. I was working in DTLV in the group sales department of the D Las Vegas in 2014 when they announced to the staff that they were now accepting bitcoin for payment. They had us open a Blockchain wallet, told us not to lose our passwords (private keys) and gave us all a small amount. That same day, I had a gentlemen call me and ask if he could host a bitcoin meetup at our hotel. We met, and the rest is history! …WELL, fast forward a couple of years, I absolutely lost my private keys, but that same gentlemen that called…not only did we plan an awesome meetup together, but we fell madly in love and are still together today. So, all in all, I lost $75 bucks but I found the love of my life so it worked out pretty well for me. My life has changed drastically. Erin is a consummate influencer, event organizer (Las Vegas Bitcoin Meetup), connector and networker. We were thrilled to connect with her and talk Crypto at CryptoBlockCon.